Don’t miss book 2 of Shelley Shepard Gray’s new series, Amish Brides of Pinecraft: The Proposal at Siesta Key! I JUST LOVE how close these wonderful books release! It’s so hard; finding a new series that you just LOVE and having to wait a YEAR between releases… But, thankfully, Shelley knows her readers are impatient. Shelley Shepard Gray has another HIT series on her hands! The Proposal at Siesta Key is JUST as GREAT as The Promise of Palm Grove and I can hardly wait for the next one! I LOVE Shelley’s books! And I LOVE how she presents the social/personal issues she brings into the story! She shows SO MUCH better than I ever could that the challenges in our lives do not HAVE TO cripple us! What an amazing story! What a wonderful premise! An exceptional continuation of the series! Don’t miss it! And watch for book 3… COMING SOON! FIND OUT HOW YOU CAN WIN A COPY BY CLICKING HERE! A young Amish woman, yearning for freedom, crosses paths with a handsome Mennonite celebrity in a deeply moving tale of friendship and self-discovery—the second installment in the unforgettable New York Times bestselling author’s new Amish Brides of Pinecraft series. Penny Troyer rarely disobeys her parents. In the years since her sister’s tragic death, they’ve wanted nothing more than to keep her safe…even if it means never leaving the house. But tonight, she’s bending the rules because Michael Knoxx, the most famous member of The Knoxx Family Singers, a traveling Mennonite Evangelical family —is scheduled to speak. Penny has heard of Michael—how he lost part of his leg in a terrible accident and uses the experience to inspire others—and knows she must meet him. So, for the first time ever, Penny stands up to her parents and goes out on her own. Though he speaks about living life to the fullest, Michael knows he needs to take his own advice. Life on the road is grueling and Michael wants to slow down, to rest…to perhaps meet someone who sees him as a man, not just a celebrity. So when a twist of fate allows him the chance to stay a little longer in Pinecraft, Michael knows God is showing him a new path, especially when he discovers how much he and Penny Troyer have in common. But new friendships can’t stop time. Soon, Michael’s time in Pinecraft will be over and he’ll be back on the road. Her time with Michael has brought her happiness, but will she be able to follow her heart? Or will she be faced with the one thing she’s sure she’ll never have the courage to do? Shelley Shepard Gray is a two-time New York Times bestseller, a two-time USA Today bestseller, a finalist for the American Christian Fiction Writers prestigious Carol Award, and a two-time Holt Medallion winner. She lives in Southern Ohio, where she writes full-time, bakes too much, and can often be found walking her dachshunds on her town’s bike trail. Find out more about Shelley athttp://www.shelleyshepardgray.com. I apologize for any inappropriate content. And Here is why you have to go get it and read it!!! Thomas Nelson has made an excellent choice with Melanie’s newest story and they’ve made this fan a very happy reader! I could hardly wait to get my hands on this one and once I did, I couldn’t read it fast enough! Melanie Dickerson tells – or I should say retells – fairy tales better than anyone else I’ve ever read! Once you start reading, you won’t be able to put it down either. Not only are the stories fascinating, the characters are exceptionally crafted and the fairy tale elements are perfectly sprinkled in to make this just as wonderful as anything you will have read by Grimm or Perrault! In this case, Melanie has taken two stories and woven them together to create a rich tapestry of danger, deception and daring-do! I refuse to give away even a shred of this magnificent story but I will tell you that Melanie’s talent has taken the extra step required to move from the YA market to a book that will appeal to Adults just as much… maybe even more than Melanie’s young adult audience. I will say this though… do NOT think you know what’s coming with this story! Melanie will not only have you swooning with her romance, she’ll have you on the edge of your seat with the danger Odette faces. And you will NEVER see the end coming! The Huntress of Thornbeck Forest is available for purchase TODAY! – Tweet this! The Huntress of Thornbeck Forest is an amazing retelling of two classic fairy tales! – Tweet this! Don’t Miss Melanie’s next GREAT fairy tale – The Huntress of Thornbeck Forest! – Tweet this! Swan Lake meets Robin Hood when the beautiful daughter of a wealthy merchant by day becomes the region’s most notorious poacher by night, and falls in love with the forester. Jorgen is the forester for the wealthy margrave, and must find and capture the poacher who has been killing and stealing the margrave’s game. When he meets the lovely and refined Odette at the festival and shares a connection during a dance, he has no idea she is the one who has been poaching the margrave’s game. Odette justifies her crime of poaching because she thinks the game is going to feed the poor, who are all but starving, both in the city and just outside its walls. But will the discovery of a local poaching ring reveal a terrible secret? Has the meat she thought she was providing for the poor actually been sold on the black market, profiting no one except the ring of black market sellers? The one person Odette knows can help her could also find out her own secret and turn her over to the margrave, but she has no choice. Jorgen and Odette will band together to stop the dangerous poaching ring . . . and fall in love. But what will the margrave do when he discovers his forester is protecting a notorious poacher? I was blessed to receive a copy of this book in exchange for an honest review! Don’t miss Shelley Shepard Gray’s new series, Amish Brides of Pinecraft, and the first book in the series, The Promise of Palm Grove! Romantic Times said, “Vibrant descriptions and details bring the plot to life in this heartwarming tale of new beginnings and renewal.” Does Leona follow the path set out before her? Or take a chance with only the promise of what could be to guide her? Oh my word. Every time I picked up this book… I had the hardest time putting it down. Alas, the children dragged me away a few times to do things like teach school and attend to my own writing. Shelley Shepard Gray has another HIT on her hands with The Promise of Palm Grove! What a wonderful story, so intricately woven around, not just the main characters – but including so many wonderful secondary characters. Something Shelley does like no other author. Find out how you can WIN Shelley Shepard Gray’s NEW book – The Promise of Palm Grove! – Tweet this! Have you bought your copy of The Promise of Palm Grove yet? – Tweet this! The Promise of Palm Grove – book 1 in Shelley Shepard Gray’s NEW series! – Tweet this! Leona must decide: Does she follow the path set out before her? Or take a chance with only the promise of what could be to guide her? A young Amish woman finds herself torn between the man she’s pledged to wed and the man her heart desires in this heartwarming story of chance, duty, and choice in the face of love—the first volume in the beloved New York Times bestselling author’s new Amish Brides of Pinecraft series. Amish bride-to-be Leona is thrilled to be in Florida, on a mini-vacation in the pretty town of Pinecraft. Her girlfriends think she’s happy because she’s away from the stress of wedding planning. They have no idea that Leona’s real joy is in being away from her fiancé. Edmund is a good man, and will make a decent husband . . . just not for Leona. The more time she spends with him and his overbearing ways, the less she wants to be his wife. Her cousins are sure Edmund is the right man for her-and their certainty makes Leona begin to doubt herself. But when a chance encounter with a wayward cat brings her face-to-face with a handsome, fun-loving Amish man named Zachary Kauffman, Leona’s faced with two vastly different futures. Learn more and purchase a copy at Shelley’s website. Let me first say that this is not my typical read. I may not have hand-picked it but I am definitely glad to have read it! Aynne Cynar has written a story of such heart-rending… life. Erased With Grace is an inspirational story – even though it doesn’t look that way for a very long time. Many of the things Kathy is going through struck a chord with me… and I’m certain they will with any woman who reads the book. I may not have been through precisely what she has, but there are parallels that can not be ignored and Aynne has such a feel for the emotions and reactions in the situations her characters endure – it’s simply amazing. And the characters… of the characters – I want to meet so many of them! From the wonderful ladies in her church group to Anna Rose – one of the newest residents at the Franklin Hospice facility. Aynne clearly believes in a Supernatural God and that comes through in Anna Rose especially. Her faith, her belief, her enjoyment of every day God gives her show just how AWESOME our God is! We do have an AWESOME God and I am tickled to have found a wonderful book that portrays that message so well! Yes, this is the first book I have read by Aynne Cynar… but it will not be the last! Don’t miss this wonderful NEW Novel by Aynne Cynar! – Tweet this! 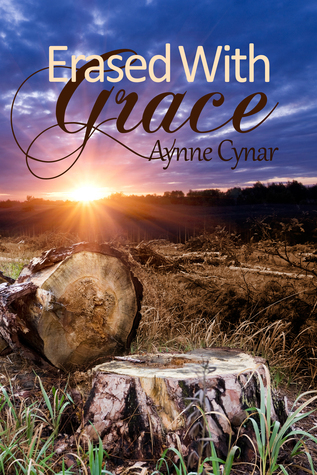 Erased with Grace is a heart-warming and inspiring story by Aynne Cynar! – Tweet this! Kathy Penchak is nurse manager at the Franklin Hospice in Cotton Springs, Kentucky. The cherished role of wife feels erased when she discovers her husband’s newest employee in the family automotive repair business is also his mistress. Her adult children are involved in their own lives and the loss of an old faithful golden retriever, Giggles, still stings. The newest patient at the facility has lost parts of her memory but not her faith. She possesses a vibrant witness that blesses the staff with warmth, joy, and encouragement right down to a final gift from the “Magic Bucket”. It’s tempting for Kathy to see God defined through circumstances. The new patient, Christian colleagues, and the WeKnow Sunday school class hold her to the precipice of faith. Kathy discovers God is able to do beyond what we ask or think and may answer prayer in most unimaginable ways. She learns an empty nest and failed marriage can become a cavern to walk through and arrive into the loving arms of her Savior. Her relationships have changed but are Erased with Grace. The book is supposed to be available on Amazon but there seems to be some technical difficulties at the moment. I will put the link up as soon as possible. I LOVE being a book reviewer! The Huntress of Thornbeck Forest is available for pre-order at Christianbook.com! – Tweet this! I was blessed to receive a copy of this book from Thomas Nelson! I LOVE finding New authors!!! | Do not miss Marta Perry’s NEW book: “The Forgiven” | Book 1 in her new “Keepers of the Promise” series! What a WONDERFUL story! A page in and I was HOOKED! WOW! Thank goodness we have every book of her Pleasant Valley novels! I won’t have to hunt them down to read them all. Of course we don’t have every book of hers but I’m going to be on the lookout! Marta Perry is a masterful storyteller and she will pull you right in! Wonderful story! Intriguing history! Excellent characters! Just an all-around GREAT book! Now I’m chomping at the bit to get my hands on the next one! LOL! DO NOT miss this book and do not miss any of her others! As delightful an author as Marta Perry is, I can not imagine even one of her books not being just as fantastic a read! And it’s not just the writing I love. The very idea of someone storing up memories from the family’s past to share – well, not enough of us do that. And even among the ones who do, not enough of them get around to bringing the rest of the family in on their history. And making the focus of the story an Amish family – perfect! Who better to show holding on to their precious family history! When three women, all cousins, are given the task of sorting through the treasures of several generations of their Amish family, they each discover a story from the past that provides insights and inspiration for their own lives. Central Pennsylvania, current day. Rebecca Fisher gladly accepted her husband Paul’s dreams as her own, but now that he has passed away, she’s struggling to raise two children and keep her home. Renting her stable to carpenter Matthew Byler offers a partial solution—even though Matthew has a troubled history, having sometimes failed to embrace Amish beliefs. As Matthew seeks to prove himself, Rebecca realizes how dependent she has become on others. Where can she find the courage to grow and change? Lancaster County, 1941. As war threatens, Anna Esch pours her experiences into her diary. Her world seems to crumble as neighbors turn against the Amish and her love, Jacob, is sent to a camp far away for refusing to fight. 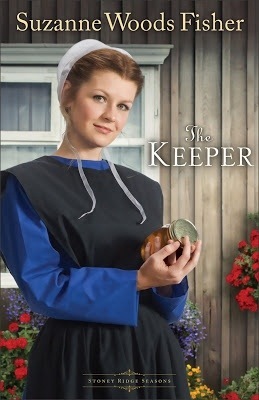 She can’t know, as she grows from a girl into a woman during a time of trouble and grief, that one day another Amish woman will gain strength from the words she writes and will learn that she, too, can become a keeper of the promise. I was blessed to be able to review an ARC of this book – provided by the author. Any opinions are my own and 100% true! Deborah Raney – Masterful Author of the family drama! I never had a family like the Whitmans but Thanks to Deborah Raney, I can imagine that I have. I had no idea Deborah Raney had such a long list of best-selling titles to her name but I can see why. 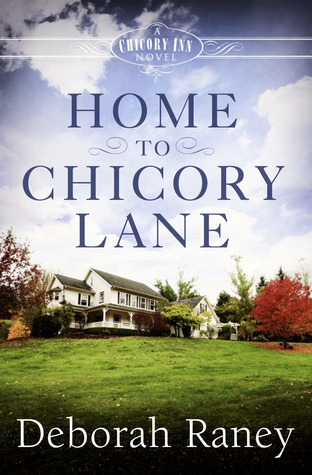 NO ONE writes Family Drama in a CLEAN, DECENT way, than Deborah Raney. It only took a page – 1 page for me to get sucked right into this book and it was exceptionally difficult to put down, even with two kiddos wanting my constant attention. Ironically, it has shown me that while I had more the upbringing Chase experienced (minus the mom running off), the family I am raising now is much more on par with the Whitmans – only I just have the two kids. It’s no wonder Deborah Raney has had so many Best-sellers and has such a large following! She paints a vivid picture of everything from the newly-remodeled Inn to the Rain-drenched streets of New York. Her characters are vibrant and REAL, and their story is so true-to-life it’s astonishing! I absolutely love how she weaves God into the story. There’s nothing preachy about it. It’s just how true followers of Christ live their lives, with God at the heart of it all! All told, an excellent read! Landyn longs for home, but her mother may have other plans. Audrey Whitman’s dreams are coming true. Now that their five kids are grown, she and her husband, Grant, are turning their beloved family home into a cozy bed and breakfast just a mile outside of Langhorne, Missouri. Opening weekend makes Audrey anxious, with family and friends coming from all over to help celebrate the occasion. But when Audrey’s daughter, Landyn, arrives, the U-Haul she’s pulling makes it clear she’s not just here for a few days. Audrey immediately has questions. What happened in New York that sent Landyn running home? Where was Landyn’s husband, Chase? And what else was her daughter not telling her? One thing was for sure, the Chicory Inn was off to a rocky start. Can Audrey still realize her dream and at the same time provide the comfort of home her daughter so desperately needs? from the Litfuse Publicity review program. I have no control over the ads you may see below. 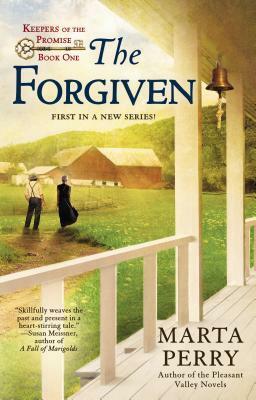 Don’t miss the first book, Rumspringa’s Hope, in Beth Shriver‘s new Spirit of the Amish series. Beth is celebrating the series launch with a Kindle Fire Giveaway! Enter today, but hurry! The giveaway ends on June 22nd. Winner will be announced June 23rd on Beth’s blog. Don’t miss a moment of the fun; enter today and be sure to stop by Beth’s blog on June 23rd to see if you won. THANK YOU to everyone who entered and GOD BLESS! 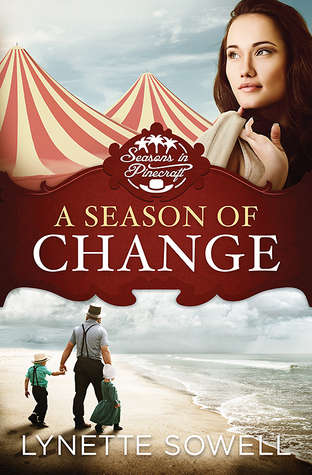 “A Season of Change” by Lynette Sowell released on the 20th of May. The contest ended June 9th at midnight CDT! My contest is not run by rafflecopter or random.org or any other site. The form above will e-mail me when someone enters and I will be drawing the winner’s name out of a hat (actually my daughter has informed me that she wants to do the drawing part). The winner was notified by e-mail and announced here on my blog, on Facebook and on Twitter. And read the book – whether you win or not. It’s wonderful! An Amish widower finds love in unexpected places. Amish widower Jacob Miller believes it was a mistake to visit the Amish village of Pinecraft for winter vacation, especially after his daughter is struck by a car. Stranded in Sarasota until his daughter recovers, Jacob grows increasingly wary of events that unfold in his unfamiliar surroundings—including the strange curiosity of Englischer Natalie Bennett. Natalie never thought her circus career as an aerial silks artist would end with a blown-out knee at the age of 25. She also never knew her late mother had a secret—that she was once Amish. When Natalie meets the Millers at the Sarasota hospital, she is attracted to their warm hospitality and simple ways—and soon wonders if they can help her find her mother’s family. As Jacob and Natalie fall in love, their worlds collide. Will their differences tear them apart? Or will their love be strong enough to blend their clashing cultures? Click HERE for more info from Abingdon Press. Click HERE for more info from Christianbook. HERE for more from GoodReads. HERE for Amazon. And click HERE for Lynette Sowel’s blog! Another book, another author, another disappointment for me. Is it really just me? Am I the only one who sees how wrong some of these things are? Don’t get me wrong. I’m sure some of these things happen. But some of them… There’s no way. Really. No way. Suffice to say, I will not be finishing this book. While reading it, I actually found myself becoming disgusted with the genre in general so I will not finish this particular one. My mother assures me that she has read several other books by Miss Fisher and they were fantastic. So I may give those a try at some point. But I cannot finish this one. I’m sure there are plenty of people out there who will enjoy this book. I’m just not one of them. So don’t take my word for it. Try it for yourself. See what you think. Disclaimer: I have no control over the ads you may see below. I am sorry if any of the content is inappropriate.